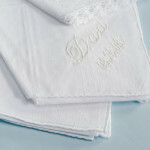 Dry her tears as she dried yours with our Grandmother Wedding Hankies. 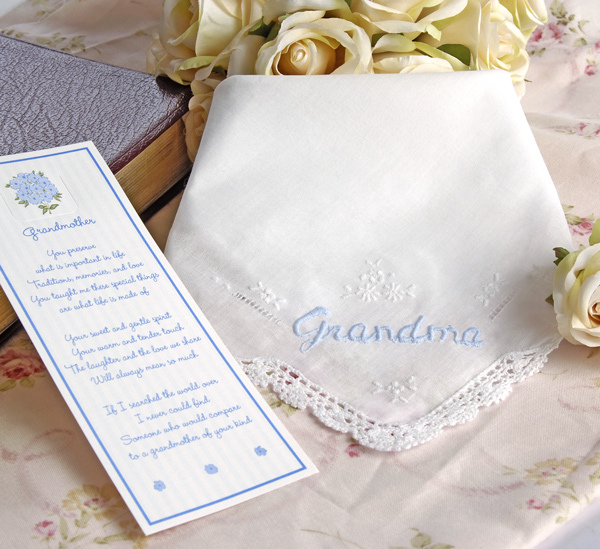 Our laced edged 100% cotton hankies are embroidered with a floral design and the words “Grandmother” in light blue. 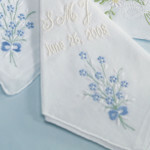 A single script initial can be embroidered on the other side at no additional charge for a special touch. 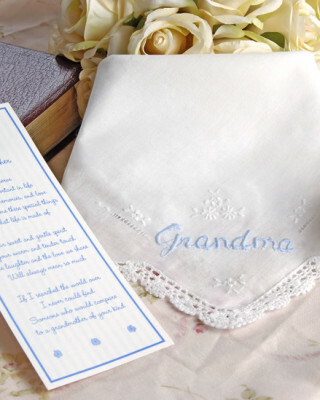 Each wedding hanky gift includes a laminated poem which can be read here. This makes a special keepsake for the women in your life. Grandmother Poem on Bookmark: You preserve what is important in life. Traditions, memories, and love. You taught me these special things are what life is made of. Your sweet and gentle spirit, your warm and tender touch, the laughter and the love we share, will always mean so much. If I searched the world over, I never could find, someone who would compare, to a grandmother of your kind. 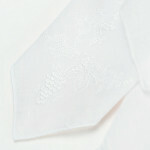 Size: Hankies measures 11” by 11 inches.